Cebu Landmasters, Inc. partners with RIASJAC Corporation in offering Cebuanos an unbelievable real estate product a place to proudly call home. Everything a family needs is within walking distance from the Baseline area – schools, churches, hospitals, shopping centers, and more. Generations of Cebuanos have shared fond memories in the Baseline Complex – karate classes, fun workouts and rock climbing at the Baseline gym, family parties at the Baseline restaurant, exciting matches at the tennis courts, and even grand street parties during the Sinulog festivities. 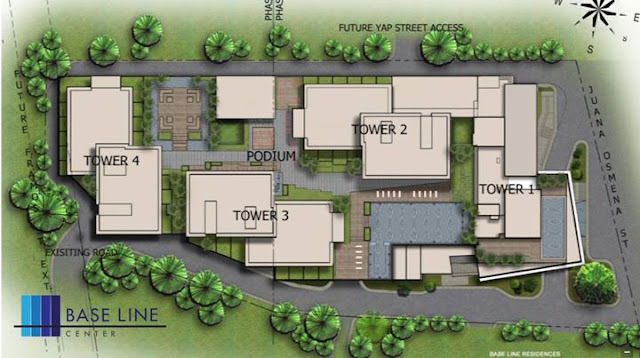 Baseline provides several lifestyle conveniences in the best possible location – right in the heart of Midtown Cebu. You can choose between a residential or office type of condo perhaps for your home based or online business, a place to stay for yourself or your family at the uptown portion of Cebu City! 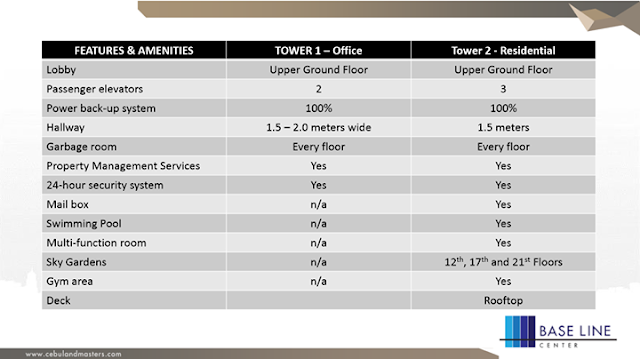 Base Line HQ (Tower 1) - located at the 3rd to 8th floor, this is for investors or entrepreneurs seeking office space from 33 to 142sqm; amenities include Separate Office Lobby and Elevator Access, Select Units with Floor-Ceiling Glass Windows and Basement Parking. 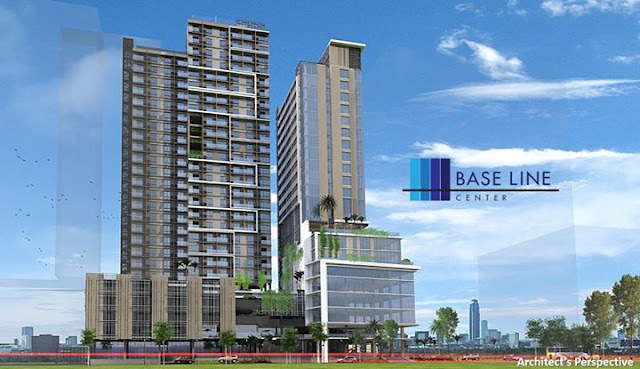 Base Line Center Cebu - Office units reservation fee is at Php50,000 with price range from Php2.98M (33sqm) up to Php14.3M (139sqm). Base Line Premier (Tower 2) - 26 Storey Residential Condo located on 5th to 6th Floor of Tower 2 with contemporary design architecture to maximize the best views of Midtown Cebu; 1,800 sqm Amenity Area on the 5th Floor Podium offers various upscale facilities for the exclusive use of the residents and Podium parking. Have a look at these Base Line Center Cebu - Residential floor plans from Studio Units, 1 Bedroom, 1 Bedroom Loft Units to 2 Bedroom Loft Units. Baseline Residences, a 16-storey residential condo, will soon rise in a superb location within the Baseline complex, right along Juan Osmena Street. Aside from the great combination of conveniences already offered in the area, the condo will be featuring an impressive host of amenities as well.